This lovely polish is yet another gem from Avon’s latest Smoke and Mirrors Collection. Released last month, this is a very pretty collection of soft, spring shades – you can see my other favourite pieces from the bits I was given here and here. 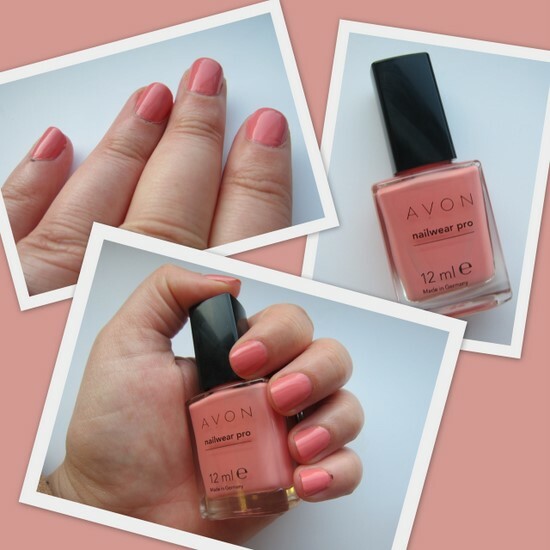 This beauty is Avon’s Nailwear Pro Nail Enamel in Apricot Mystery, which is €8 and just the prettiest, creamiest, peachy-pink polish on the block. It needs three coats for full opacity, but it applies well and dries quickly to a nice, glossy finish. Avon don’t sell through shops but check out the website to browse an ebrochure or to find your nearest independent sales rep.
What nail polish are you rocking right now? I'm wondering if the day will come when I say, okay now I have enough nail polishes! Mr Fluff is wondering if I'll ever have a similar realisation! This is one of my fave polishes at the mo as you well saw on Sunday :) I won't have enough time to change my nails for tonight so I'll glitter it up! this is such a pretty colour for spring! you dont see many reviews on avon nail polishes here on blogger but this looks gorgeous! Oh thats lovely, almost a browny pink! would be great on tanned holiday hands, I might have to invest! Ooh! this is gorgeous! It's a lot liker a rimmel one I was eyeing up the other day. Lovely lovely Springtime colour! Really lovely shade, gosh I miss Avon, I should look for a local seller but its too dangerous. I tend to get a bit over excited and order a mountain of things! Gorgeous colour, you have great nails I'm so jealous! So pretty and gorgeous for Spring!